Newly engaged? looking for the perfect save the date card that shows off your style with a unique design??? 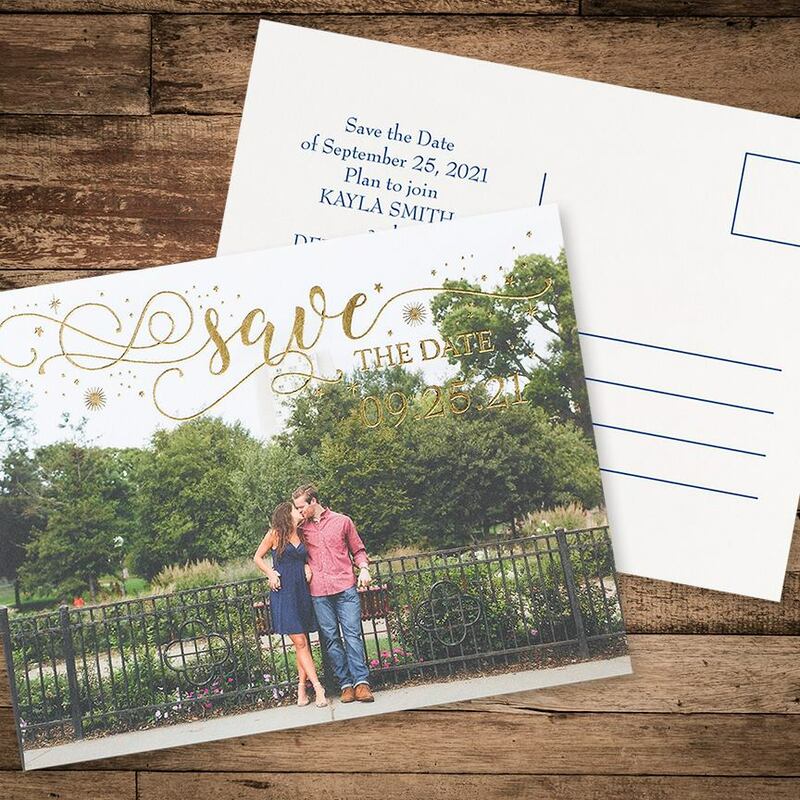 We can help with these quick and easy photo save the date postcards. This is an easy way to send the cards to everyone on your guest list as well as show off your favorite engagement photo. 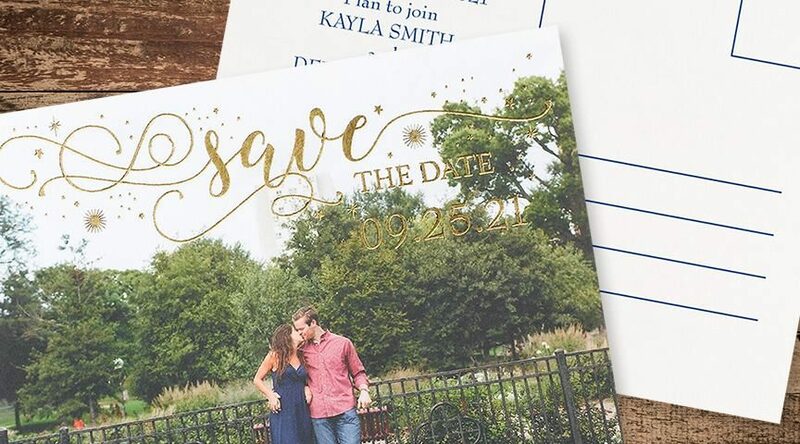 We personally love our Sparkling Date – Photo Save the Date Postcard. The foil detailing is absolutely stunning and will add a nice touch to any of your customers’ photos. Take a look at all of our save the date options here.